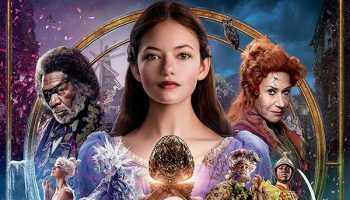 ‘The Nutcracker and the Four Realms’ Review – Spotlight Report "The Best Entertainment Website in Oz"
Thanks to Walt Disney Australia for the chance to see ‘The Nutcracker and the Four Realms’ before its national release. This is our review of the movie, but as usual, no matter what we say, we still recommend you to go and see it at your local cinema because there is no better critic than yourself! 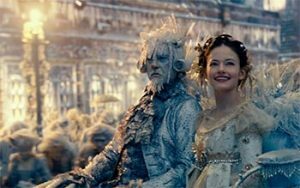 Following in the footsteps of the hugely successful Cinderella and Beauty and The Beast, The Nutcracker and the Four Realms is the latest Disney live action remake. The film stars Mackenzie Foy, Keira Knightley, Helen Mirren and Richard E. Grant. Set on Christmas Eve in Victorian London, a young girl Clara is gifted with an egg shaped box, once belonging to her deceased mother. In the search of a special key to open the box, Clara discovers a magical world. 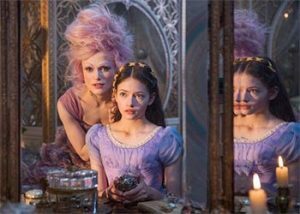 After meeting the Sugar Plum Fairy, (Keira Knightley), Shiver (Richard E. Grant) and Hawthorn (Eugenio Derbez) she discovers the Kingdom of the Four Realms is under attack by Madame Ginger, (Helen Mirren). Clara, with the aid of her new friend the Nutcracker, must help the Sugar Plum Fairy save the four realms. 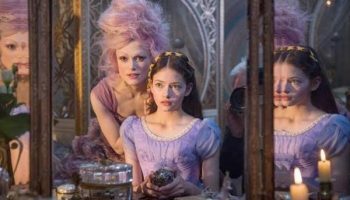 The Nutcracker and the Four Realms deviates from the traditional Nutcracker Story. The magical world and the characters are the same but the story is completely new. This is ultimately the film’s downfall. The plot is predictable, slow in parts and offers nothing fresh or new to the Nutcracker story. 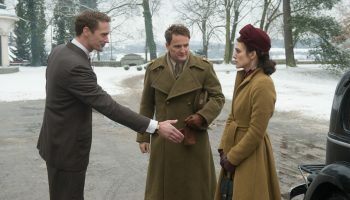 The film’s elaborate sets and costumes are visually stunning. The magical world created definitely stands out as one of the best in the Disney universe. An elaborate ballet performance, while Sugar Plum is explaining the history of the four realms, is one of the film’s highlights. The traditional Nutcracker story has become well known through the ballet repertoire. Incorporating more dance and music would have made the film more appealing. The Nutcracker and the Four Realms will be loved by the younger audience. The film’s bright and magical world, spectacular, colourful and intricate costumes, along with its goofy characters, is catnip to a child under 10. The Nutcracker and the Four Realms ticks all the right boxes for a Disney film but has missed the opportunity to enhance a beloved story. Luckily, the target audience will forgive this.